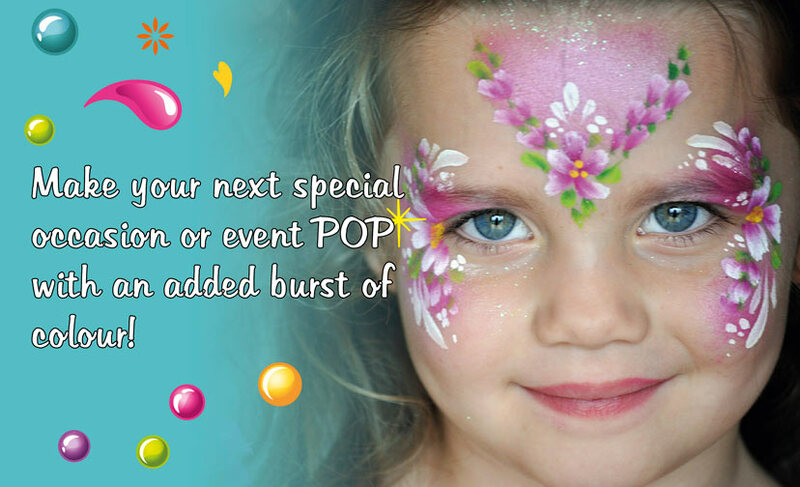 Let FizzBubble make your next special occasion or event POP with an added burst of colour and shimmer of sparkles! 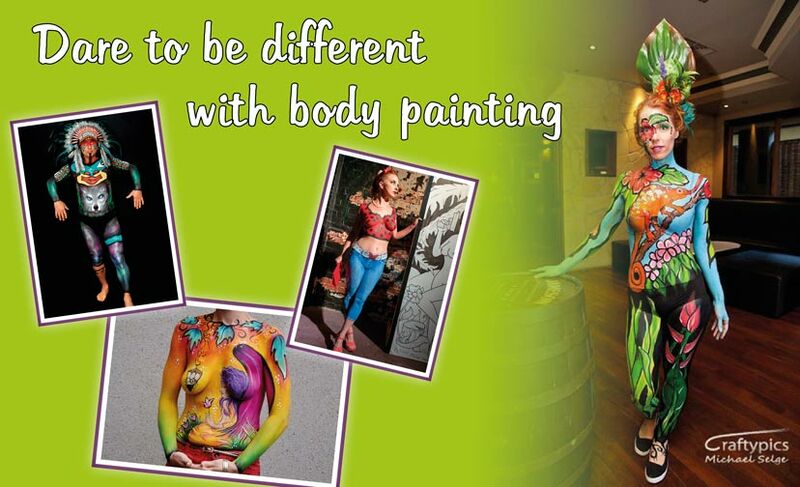 Based in Semaphore, South Australia, FizzBubble Face Painting and Body Art is available for events, parties and special occasions throughout the Adelaide area and surrounding suburbs. 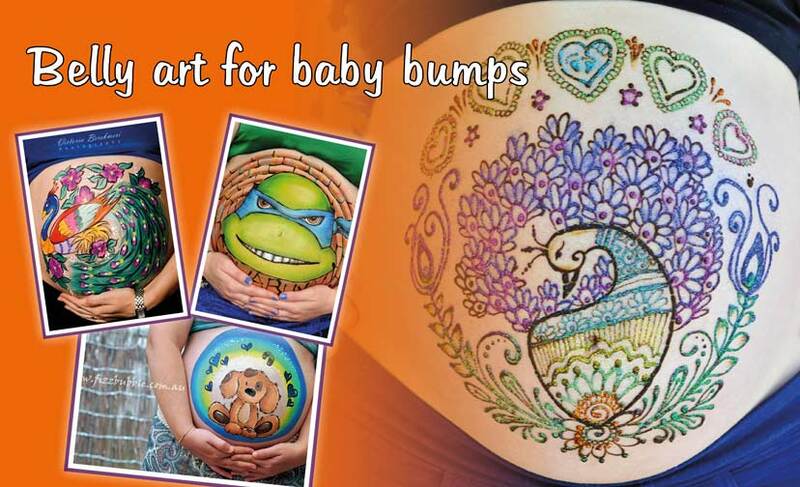 Specialising in Face Painting, Henna Body Art, Pre-Natal Belly Art and Body Painting, FizzBubble offers a professional, fun and friendly service. 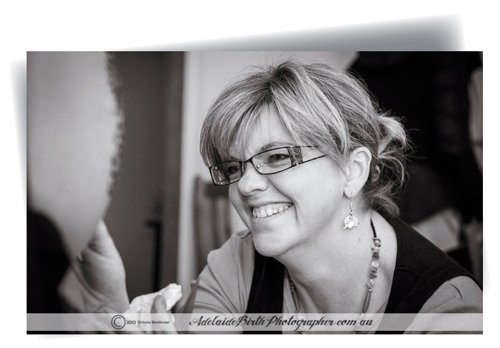 Jo Bertram is a passionate artist and mother who delights in creating stunning designs on her living canvasses. 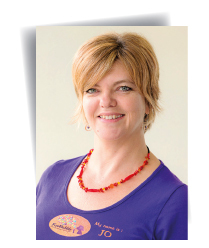 She is a great believer in ‘practice makes perfect’ and continually strives to develop and expand her repertoire. 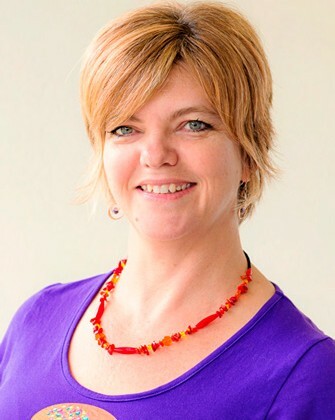 Why not let Jo captivate and enthral your guests with her artistry – you won’t be disappointed! 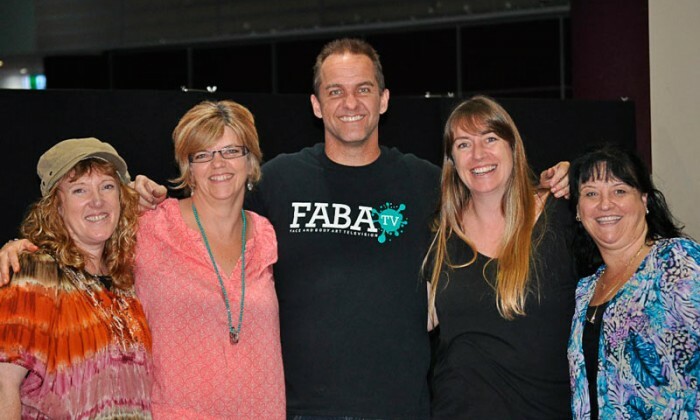 FizzBubble also has a team of talented artists for larger events where multiple painters are required. For more information and pricing, please visit our contact page. What kind of products do we use and are we insured? FizzBubble artists always work in a neat, clean workspace. Brushes and sponges are always thoroughly cleaned and sanitised after each job, and water is changed regularly. 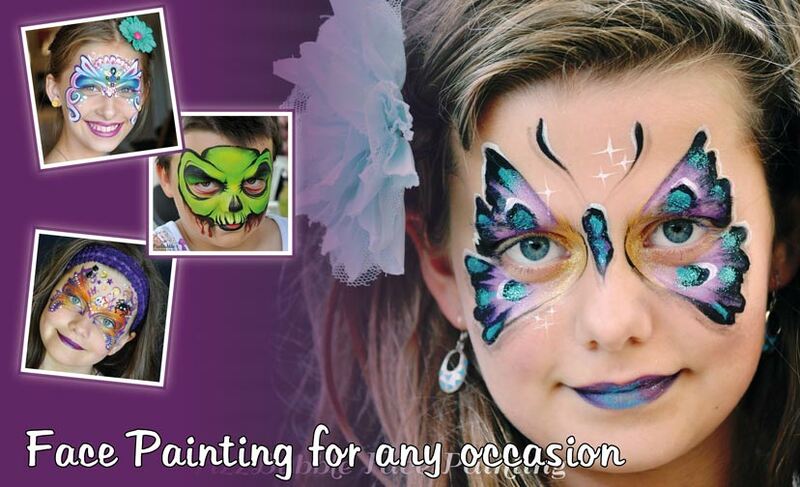 FizzBubble uses only professional grade face paints which have been approved for cosmetic use and are manufactured with FDA (US Food and Drug Administration) approved ingredients. They are non-toxic and hypo-allergenic. All paints are water based so they are removed easily with soap and water. The Henna paste we use is made from all natural Jamila Henna Powder, dextrose, lemon juice and 100% pure essential oils such as lavender, geranium or cajeput. A gentle lavender only mix is used on our Baby Bellies. 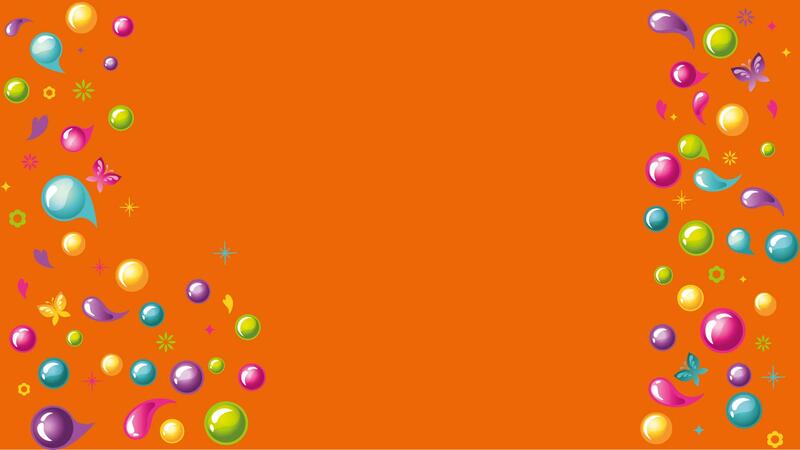 For your peace of mind FizzBubble artists also carry Public Liability Insurance, Police clearances and DCSI clearances.